I'm sure everyone would love for everything to go smoothly on their wedding day, but most brides have the inevitable snag here and there. 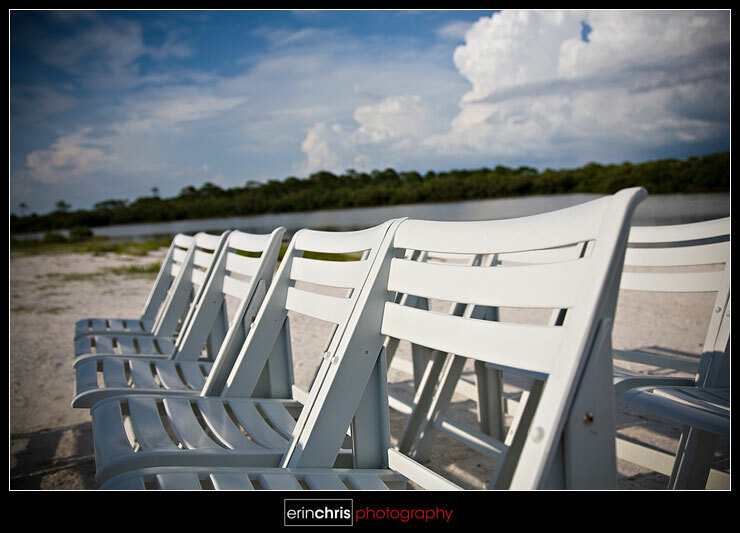 It poured the morning of the wedding, so we all hoped we were in the clear for bad weather later in the day. However, before the ceremony started, we could all see the rain surrounding us. 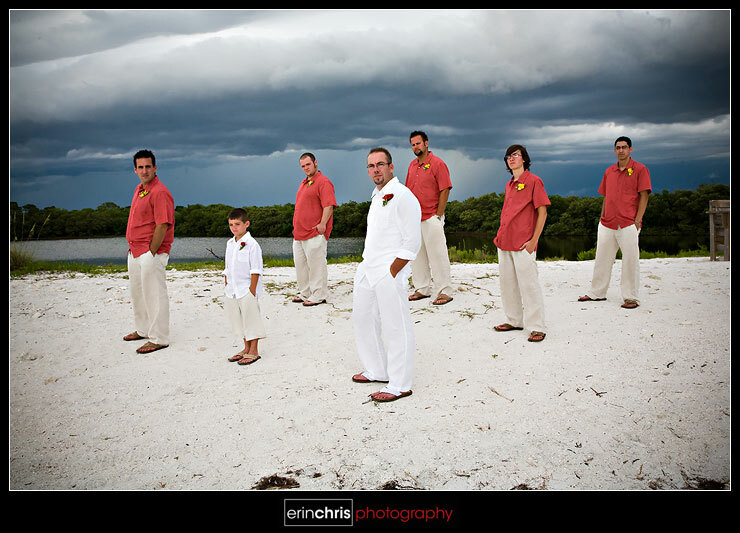 We all had our fingers crossed that it would hold off for the ceremony on Honeymoon Island, but the clouds were extra dark and ominous. They did make for some really cool photos though! You can see the awesome clouds and rain all around us here. This little boy gets the cutest kid award. 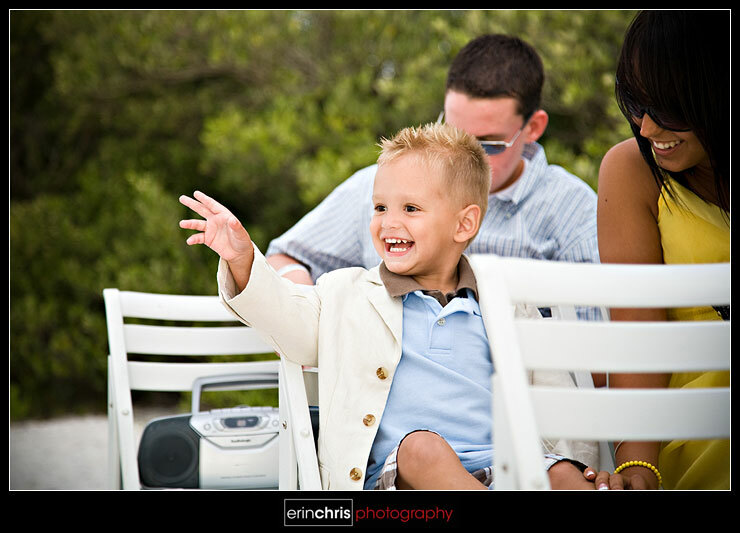 He was a super cutie and was having a great time at the ceremony & reception. Laura and Matt let us in on their first dance surprise... they started out slow dancing and it turned into a whole choreographed routine to Michael Jackson's Thriller! As you can tell, everyone thought it was hilarious. ooohhh, i'm liking the groomsmen shot and the dress zipping a whole lot!! Love that zipping up the back shot... luv it! Great pictures! Those dark clouds are awesome. 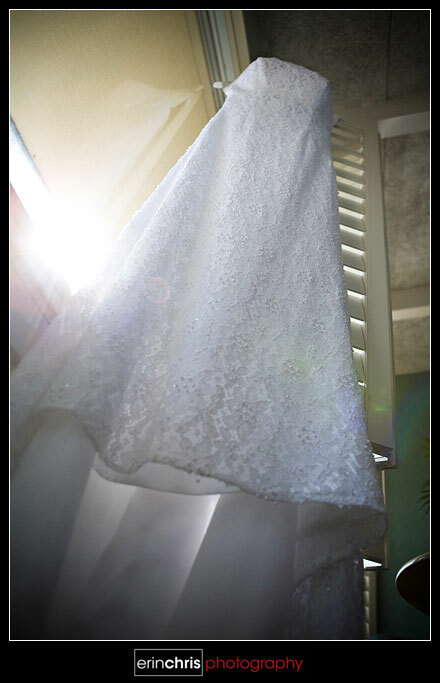 I LOVE the shot of the dress with the spot of sun flare through the window...awesome! Those clouds are pretty amazing too. Looks like a fun wedding! So, did the rain hold out?? 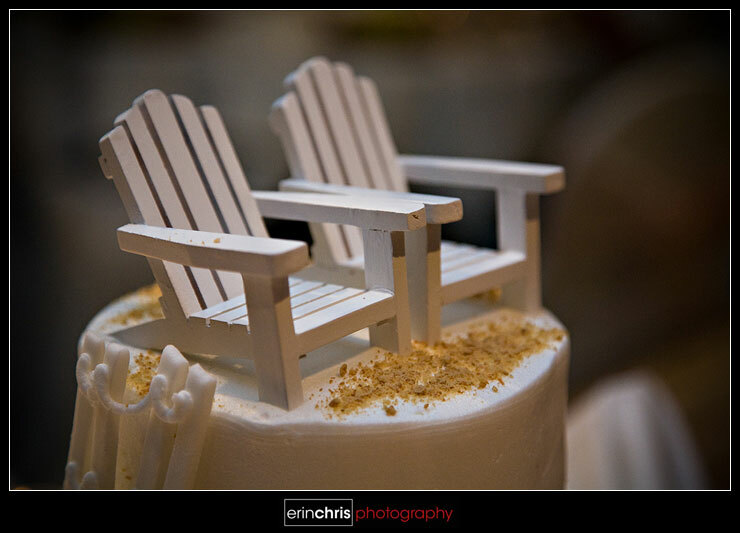 Erin, You could not have been sweeter or more professional as you spent time with my daughter and her bridesmaids. 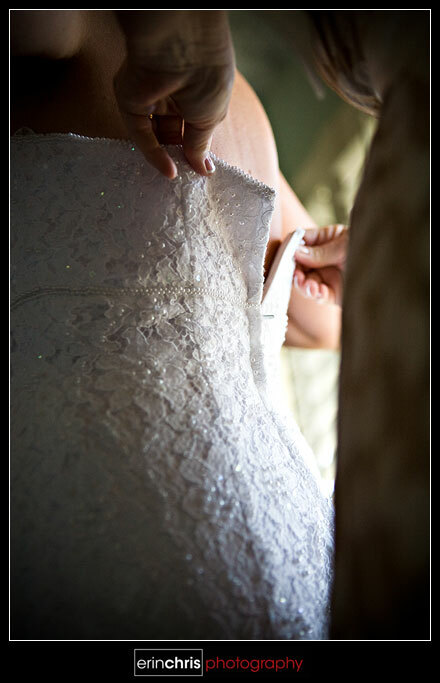 As mom of the bride, I really didn't know that something as simple as zipping my daughter's wedding dress for her could be such a memorable photo. I had to relinguish the eye and hook to some one else...but oh, that photo speaks volumes! Erin! finally I found your blog again. Beautiful work!!! ahhhh LOVE it! 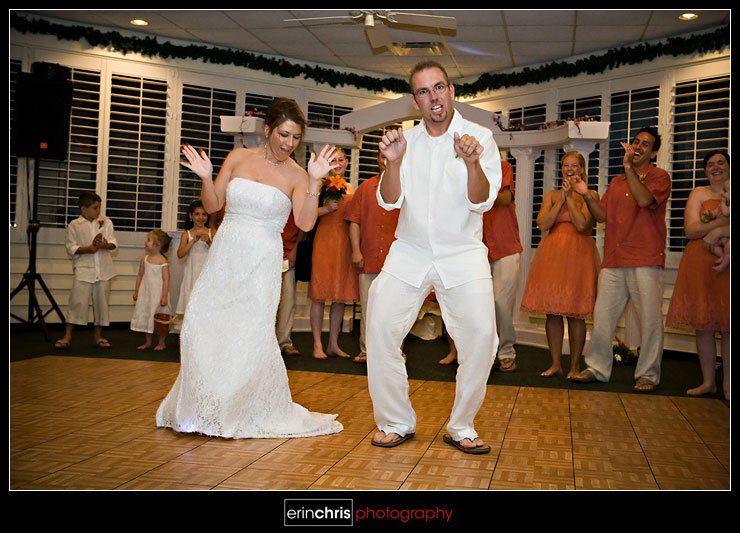 I am DYING for a couple to do thriller at one of our weddings!! thriller!!! awesome! love your shot of the guys!